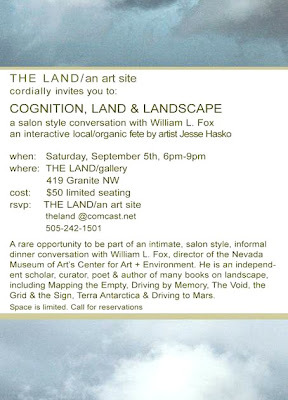 A rare opportunity to be a part of an intimate, salon-style conversation with William L. Fox, director of the Nevada Museum of Art’s Center for Art + Environment. Local/organic cuisine prepared by culinary artist Jesse Hasko. $50 tax-deductible donation includes dinner and wine.